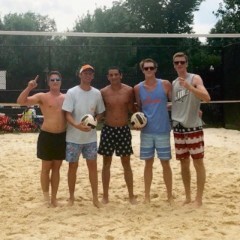 Thanks to all who came out for the July 4th tournament! It was a great day with some epic games. Team Kress (pictured below) won with a great playoff run and took home the orange shovel! Congrats to team members: Leah (Kress guest), Peter Kress, Nick Brooks, Andrew Kress and Joe Kress. Many thanks to Joe Kress for coordinating this year’s tournament. Mixed Family* and Kids’ (under age 14) Tournaments will be held this Sunday, July 8th. No sign-up or registration needed – just show up ready to play. The Kids’ Tournament is on Sunday starting at 2:00 pm; Mixed Family teams play on Sunday starting at 4:00 pm. Teams and players should arrive 15 minutes early to get organized and set the rounds. *”Mixed family” means players from any two families combine to make a team of five; if numbers are low, then referee(s) can decide if one non-related player is also allowed. 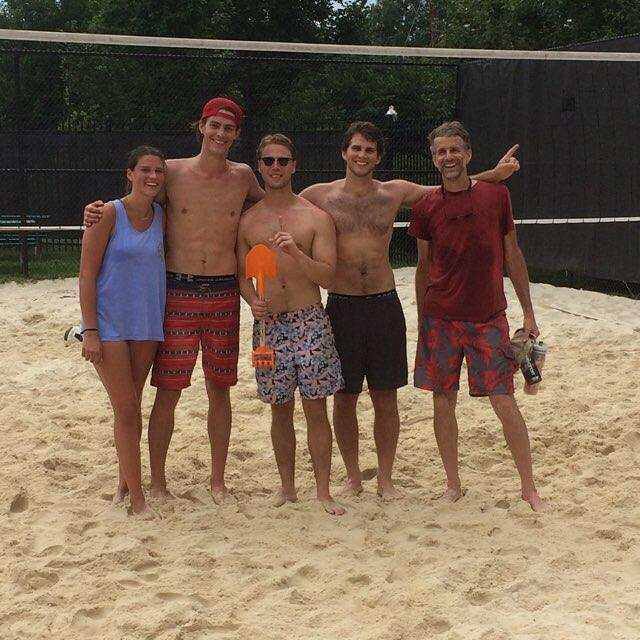 OVL Volleyball Tournament Starts This Sunday: Sign up Now! Last year’s adult champion, OVL Rising, is now OVL Retiring and the Orcas have aged yet another year so the field is wide open. Put a team together of five or six players OR sign-up as a single to be placed on a team. Teams may include up to four guests (and yes, guest fees apply). There is an online sign-up sheet here and if you have any questions please contact our official tournament chair Joe Kress at [email protected].